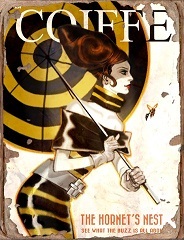 To find the first "La Coiffe" magazine, you must go to the south of the Commonwealth. West of the West Roxbury Station and the Shaw High School you will find the Fallon's Department Store. Go in and take the escalator to the second floor. Then turn right through the Iron Gate. In the round space in the middle you will find a round table. On this there is a "La Coiffe". 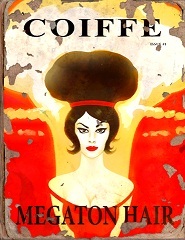 This magazine gives you the Megaton hairstyle, which is still a bit strange, as you can see on the screenshot below. The second "La Coiffe" is located in a small shop called Charlestown Laundry directly east of Bunker Hill. In a small town you go into the house with the green nameplate "Dry Cleaning". You go to the door of the house, the name "Charlestown Laundry" appears. In the Laundry room there are washing machines, you will find the "La Coiffe" magazine in a basket on one of those washing machines. This magazine gives you the Hornet's Nest Hairstyle, gives you a little bit of Marge Simpson and at the same time makes you head taller.